Circular knitting machine is widely used through out the knitting industry to produce fabric. This machine can be built in almost any reasonable diameter and the small diameter of up to five, which are used for wear. 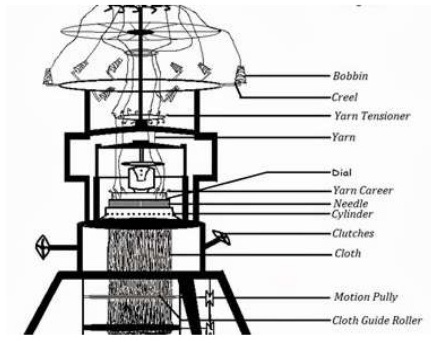 From beginning to delivery yarn passes to the different devices of circular knitting machine.